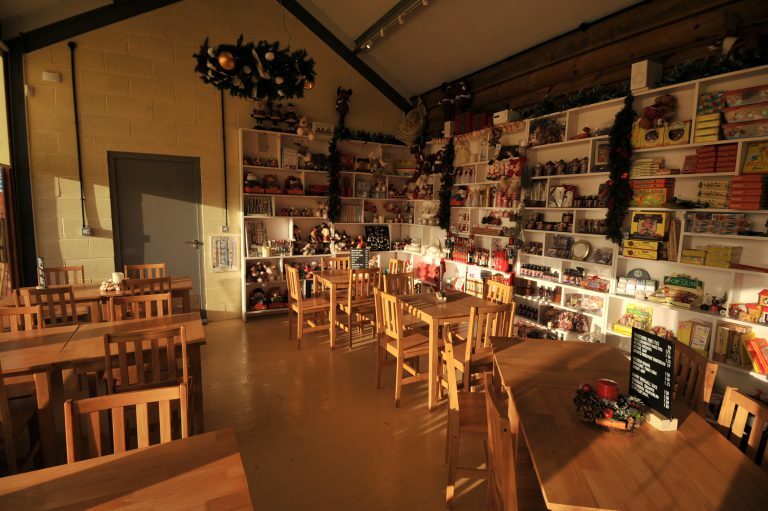 Our Grotto cafe is situated close to the grotto and serves hot and cold drinks with a variety of small snacks including cookies and crisps etc. 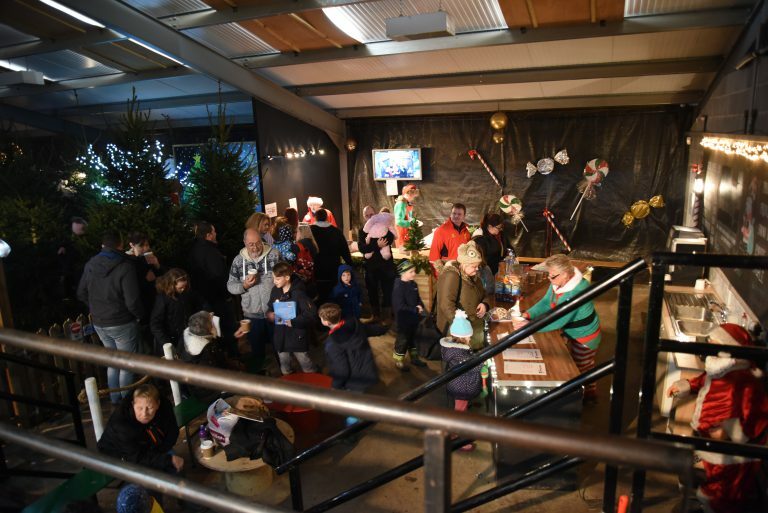 Once you have been through the snow covered trees and into the grotto, you can settle down for a warm drink before continuing on your adventure outside with the 12 days of Christmas Trail, Outdoor play area, or visiting our herd of Reindeer. 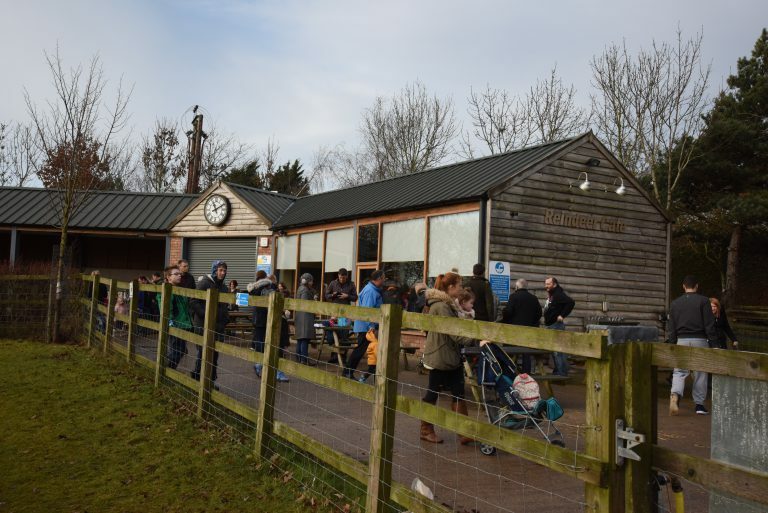 Our reindeer cafe is situated on the other side of the site to the grotto, next to the Reindeer stables. 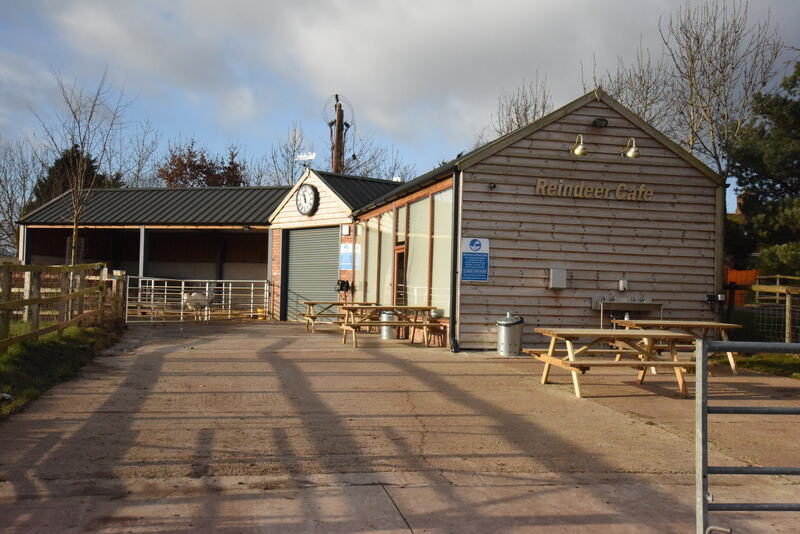 Take a weight off your feet next to a nice warm fire, and indulge in a variety of hot and cold food including jacket potatoes, soup, pastries and a wide variety of cakes. 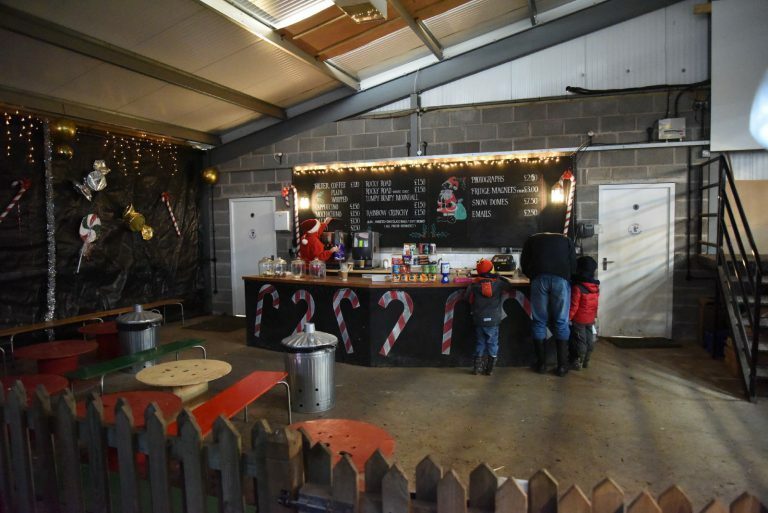 Hot and cold drinks are served too including hot chocolate, tea and coffee etc. 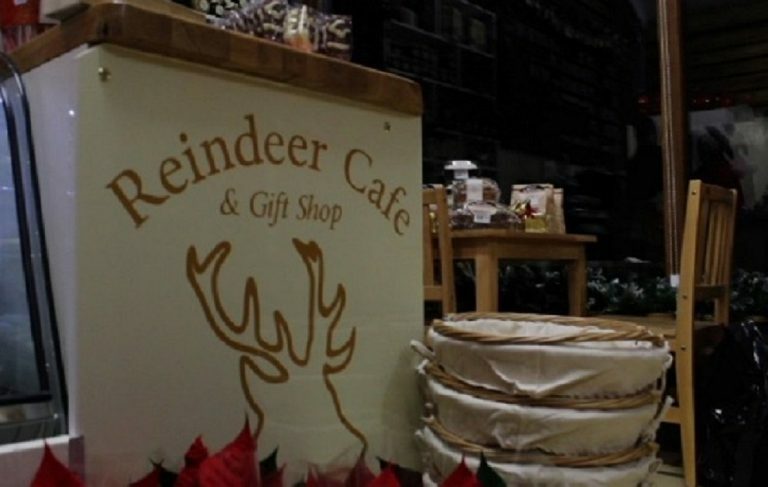 They do have some gluten free and dairy free options too.